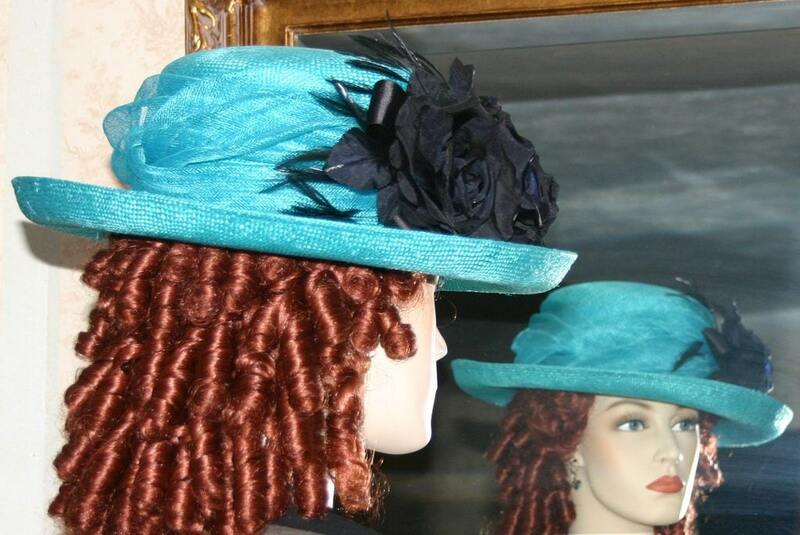 Downton Abbey Hat, Gatsby Hat "Lady Charmaine" is designed over a turquoise Ramie Base (Ramie is a Chinese grass that when made into fabric has a beautiful sheen similar to flax). 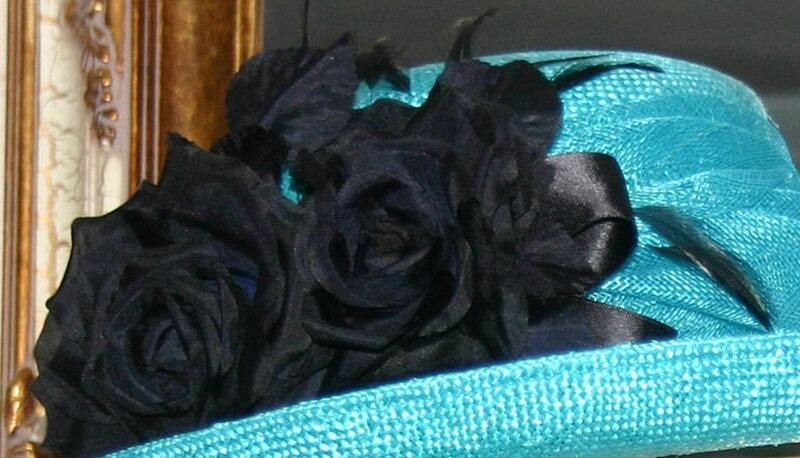 Two large black silk roses have a perfect backdrop of petite coque feathers. The ribbon behind the roses is black satin. 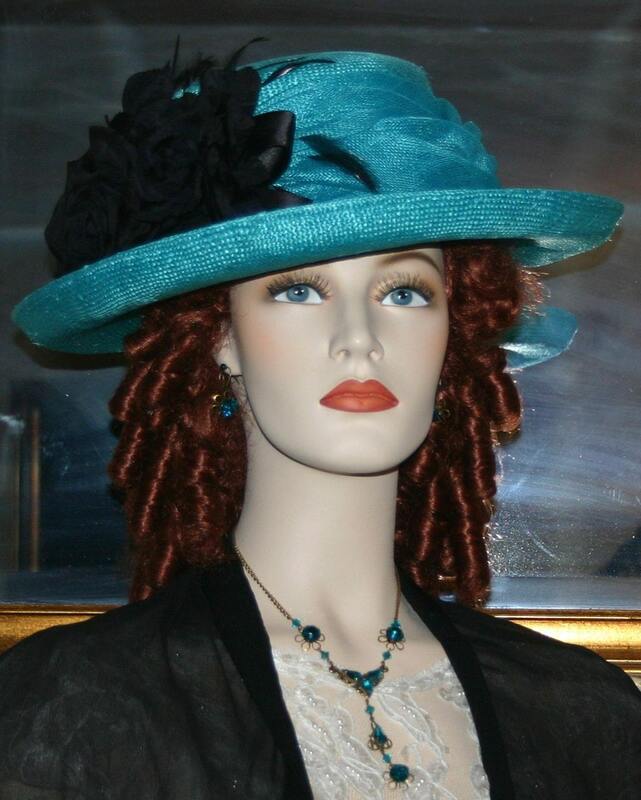 The hat band is gorgeous Turquoise sinimay or sinamay which gives the hat an airy appearance. 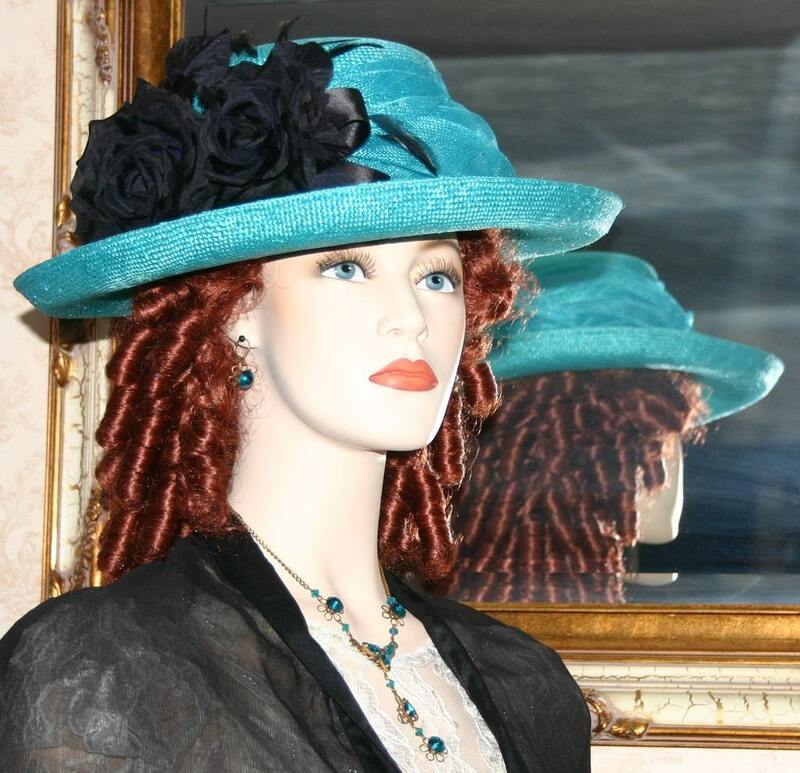 This is an Edwardian Hat Style perfect for church, wedding, Easter, Somewhere in Time weekend event, Kentucky Derby or even a Titanic remembered event. ***Some of the photos have been lighted so you can see better details.